Dispensing drugs might appear to be an easy task, but it calls for immense precision and detail. Pharmacy technicians assist pharmacists by filling prescriptions in a professional and timely manner. They, like the pharmacists, must keep up with new generic and brand name drugs, which can change weekly. They must be compassionate and friendly to deal daily with patients who are unwell and not in the best of moods. Pharmacy technicians work everywhere from grocery stores, general merchandise stores, and clinics, but they’re more frequently present at drug stores and hospitals. 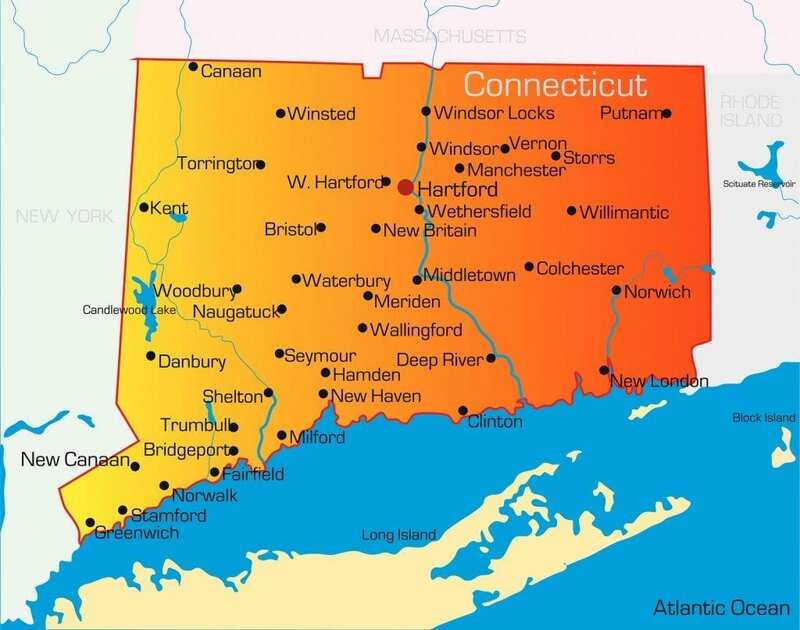 Connecticut-based pharmacy technicians must meet the requirements set forth by the Connecticut Department of Consumer Protection Commission of Pharmacy and apply for registration before practicing in the state. 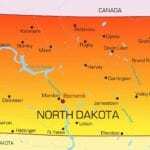 The state’s minimum requirements are by no means the only requirements for employers. For this reason, pharmacy technicians should enroll in a formal training program or take the PTCB exam for national recognition. The Commission of Pharmacy requires pharmacy technicians to obtain registration or certification through the Department. All applicants must demonstrate sufficient evidence of their qualification to perform routine functions, such as dispensing drugs, under the direct supervision of a pharmacist. Pharmacy technicians-in-training must complete an initial training developed by the pharmacist manager in the place of employment. The training will cover critical and routine tasks that will help pharmacy technicians fulfill their responsibilities in the pharmacy. The pharmacist will determine the technician’s need for related education – formal or informal. Technicians must complete all training before a regular performance of assigned tasks, and register with the Commission of Pharmacy within 30 days of commencement of in-house training. Although the state does not require technicians to report continuing education as a requirement for license renewal, pharmacist managers must ensure technicians’ continued competency through the provision on in-service training. The pharmacy manager must maintain a record of the initial training and continuing education of each technician. The record will include the technician’s name, date of training, topics covered, name and signature of the instructor and the trainee’s signature. The records must be readily available at the pharmacist for inspection purposes. 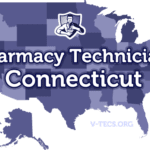 Pharmacy technicians, certified by the Pharmacy Technician Certification Board, can apply directly to the Commission for Connecticut-state certification to work as pharmacy technicians in retail or hospital pharmacies. Applicants must be at least 18 years old to register as a pharmacy technician in Connecticut. While the Commission of Pharmacy does not expect pharmacy technicians to submit evidence of high school completion with their applications, employers, in most cases, will expect it from their employees. Therefore, it is essential that you provide a copy of your high school transcript or a certified copy of your GED before applying for in-house training at community pharmacies and accredited training institutions. All applicants for registration must provide accurate information on the felony disclosure segment of the application form. If there are previous convictions, you must provide supporting documents outlining the nature of the convictions. The Commission of Pharmacy will determine the need for a criminal background check. Prior criminal convictions could delay or result in a refusal of your application for registration. Since there are no ASHP-accredited pharmacy technician training programs in Connecticut, students desirous of formal training could seek out programs offered in partnership with the Connecticut Pharmacists Association. These training programs prepare students for employment as pharmacy technicians in hospitals, community pharmacies, and long-term care settings. Some of main topics covered during classroom instruction include generic drug names, dosage calculations, medical terminology related to pharmacy, I.V. flow rates, reading and interpreting prescriptions, and drug compounding. Other topics such as inventory control, insurance reimbursement, billing and customer care prepare graduates to assist with other functions in the pharmacy setting. Most training programs comprise of an experiential component where students work alongside pharmacists and other employees in a real-world setting. Apart from employment readiness, formal training prepares students for the PTCB national certification exam. Applicants for training should be proficient in English and maths to follow directives and perform pharmaceutical calculations. The training institute may also require a high school diploma, immunization, background check and physical exam. Comprehensive training programs at CPA recognized colleges cost an average of $1,200 for tuition. Other costs include administrative fees, parking, textbooks, workbooks, immunization, background check, physical exam and other miscellaneous student fees. Some students may qualify for financial aid – depending on their financial status. Training programs cover 60 hours at some institutes to as much as 300 hours at others. Depending on the schedule, the contact hours could translate to 10 weeks to 6 months of training. Remember, you don’t need formal education to work in Connecticut. Formal training prepares students for the PTCB exam, although, you can challenge the exam without a prep course. PTCB certification allows for national recognition as a Certified Pharmacy Technician. Pharmacy employers are partial to Certified Pharmacy Technicians as the state allows a third technician on shift with a pharmacist if one of the technicians is certified. Connecticut’s pharmacy technicians should take the PTCE, developed by the PTCB, even though it’s not a state requirement. Successful completion of the exam gives the Pharmacy Technician the CPhT designation, which is advantageous in the state and on a national level as it demonstrates the candidate’s proficiency in the field. If you plan to take the national exam, you should have a high school diploma or GED, no felony convictions in the five years prior to taking the exam, and no history of felony convictions for drugs or pharmacy. The computer-based assessment comprises of 90-multiple choice questions. Ten questions (not known to the candidate) are for trial purposes only, and the other 80 questions will be scored. You must obtain a scaled score of 650 in order to pass the 2-hour exam. If you fail the test, you must wait at least 90 days before attempting the exam – in the next testing window. To apply for the test, you should submit the application online and schedule a date and testing center once the Board approves your application. Board-certified pharmacy technicians must complete at least 20 hours of continuing education unit within a two-year period to maintain certification. Use the following instructions to apply for registration as a Pharmacy Technician in Connecticut. You must fill out the paper application and mail to the address provided below. Include details on previous pharmacy tech employment over the past three (3) year. Respond to the questions related to the felony convictions and provide court documents for each conviction. Ask your employer to verify your employment and training on the application form. Attach copies of any formal pharmacy technician training and certification. Enclose a check or money order in the amount of $100, made payable to the Treasurer, State of Connecticut. Connecticut’s pharmacy technicians must renew their licenses annually. The deadline for renewal is March 31st. The Commission of Pharmacy will send a renewal reminder 30 to 45 days prior to your license expiration. The renewal notice will contain a username and password to renew your license online. It will also contain information for renewal by mail. Keep in mind that online renewals are faster and more convenient. The Commission provides step by step illustrated instructions for renewing online. You can pay the renewal fee of $50 using a Visa, MasterCard or American Express card. If you do not renew by the March 31st deadline, you must apply for reinstatement of your application and pay $60 for reinstatement. You must inform the department of any changes in your name or address within 5 days of making the change. Provide documents indicating prior training and registration.